Reminder: Entries for Evolution, Change, Challenge Close Today! Today, Friday 24 July 2015, is the last day for entries for the Evolution, Change, Challenge: A Contemporary Quilt exhibition to be held at Hazelhurst Regional Gallery and Arts Centre from 29 August-8 September 2015. Entries via the Online Entry Form only with payment of an entry fee of $25 per quilt. 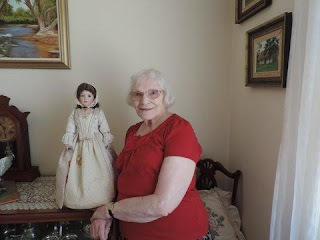 On Saturday18 July 2015, Shirley Gibson will give a talk on Dolls and Doll making at the Quilt Study Group of NSW meeting. 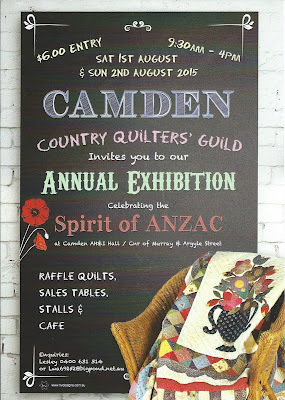 She has been a member of the Quilters’ Guild of NSW since its inception in 1980s. Her career was as a Sewing Teacher at a technical college. She has always loved sewing but is also an accomplished landscape painter as well as a quilting tutor. Come and join us at The Glover Cottages at 124 Kent Street Sydney at 2pm, 18 July for this most informative talk and display. Bring along your own dolls to show and stay for afternoon tea afterwards. Guild members pay $5 and visitors $10. The Quilters’ Guild of NSW Inc. invites entries for a juried contemporary quilt exhibition to be held at Hazelhurst Regional Gallery and Arts Centre from 29 August-8 September 2015. 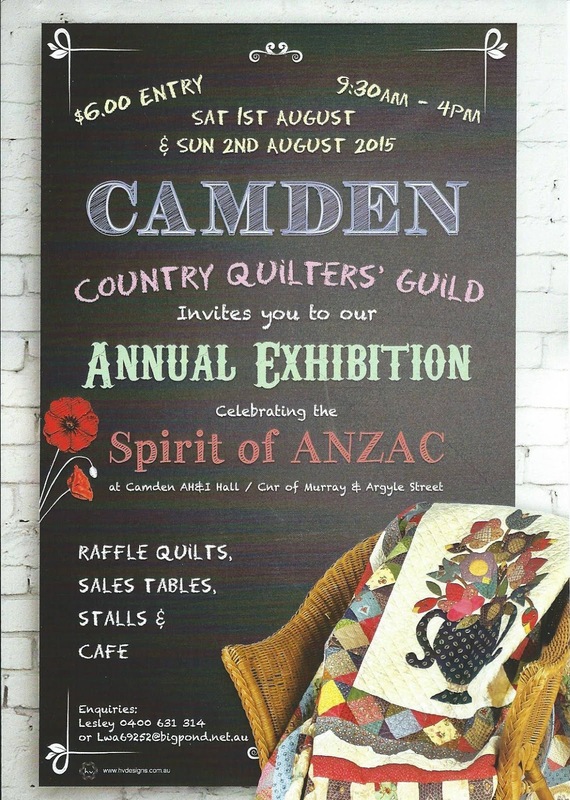 Entries are open to quilters and fibre artists from all Australian states and territories. Membership of the Guild is not a requirement of entry. Entries must address the theme “Evolution, Change, Challenge : A Contemporary Quilt” and measure 70x100cm (WxH) portrait format. Entry is via online entry form only and an entry fee of $25 per quilt is payable. The closing date for entries is 24 July 2015. The Judging Education Pilot Program subcommittee of The Quilters' Guild of NSW Inc invites Australian-based textile artists to submit their artwork for consideration to be used in a mock judging exercise in Sydney on 3 August 2015. Please complete the online Expression of Interest Form by 22 July to register your interest. If your work is selected, you will be required to deliver it at your expense by mail, or to collection points in Caringbah or Birkenhead, by Thursday 30 July 2015. Your participation will assist JEPP trainees in developing their art quilt judging skills and knowledge. In return, you will receive written feedback on your artwork highlighting successful elements and areas for improvement.